If the weather is kind, the advantage of Winter nights is that it happens late afternoon. Taking night images test your skills, and painting the canvas requires an imagination, and an eye for the light. It great's to capture something special but equally, it adds to your skill base by learning from what goes right and what goes wrong. I learn more from what isn't right, I believe you must stay honest to your capabilities and always aim for higher standards. 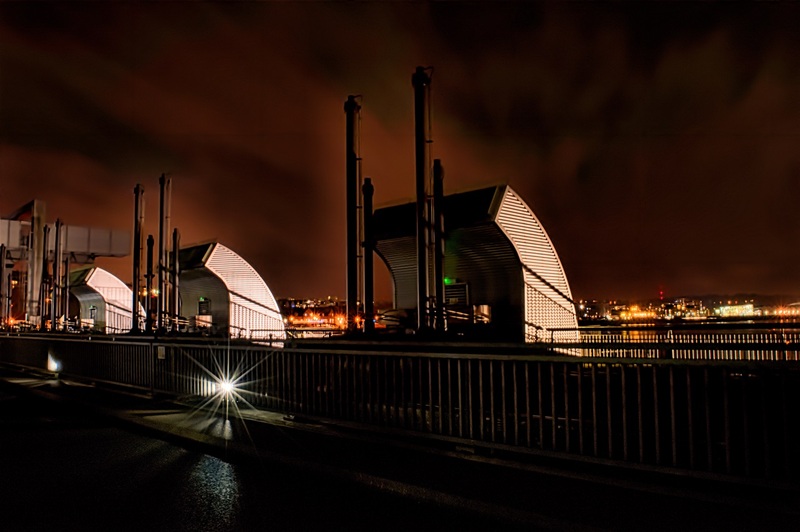 The image below of Cardiff Barrage locks taken on a cold December evening, is due for publication in The Western Mail, Wale's morning newspaper. Taken with a Nikon D3200, Kit lens, 30 second exposure, F22 aperture and a focal lenth of 18mm. Tripod a must. There's some noise, I had the iso set at 200. Should have tweaked to 100 Iso , note to self. The digital world of photography, makes your images more excessable then at any time in the past, with this it affords more opportunety to get your imagery published. My first experiance of this goes back to 2016. Took a day trip to Tintern Abbey on what was a crisp, bright, frost laden day, 1st December 2016. 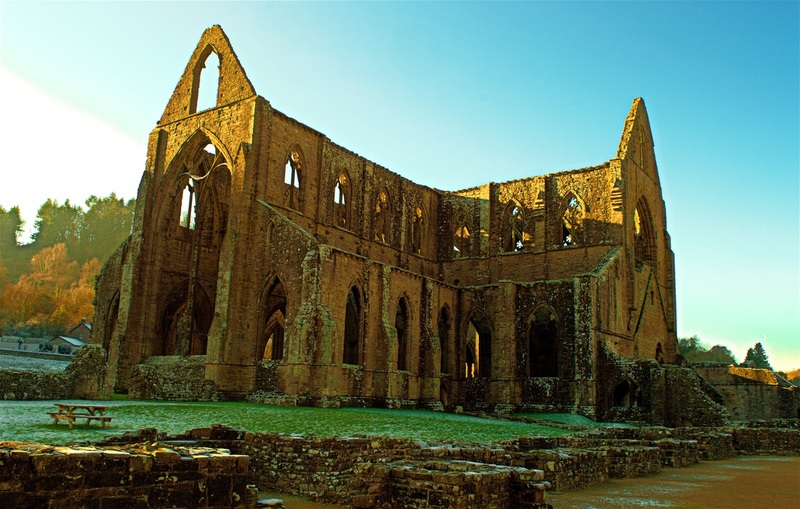 The remains of the Cistercian Abbey controlled by Cadw, sits in the Wye Valley was bathed in bright winter sun, arrived midday ,with a thick frost still present. The scene delivered an inspired view. Using my Nikon D 3200, fitted with a Polerised Filter, to take off any glare, fired off the attached image. I posted the image on Flickr, adding it on to a number of groups, one of which included "Postcards From Wales" at the time not aware this was controlled by Wales Online, during the week after I posted I recieved an email that the Wales on Sunday who was going to publish. There is no better feeling recieving such recognition for your work, its a great moral boost and endorsement of your skills. 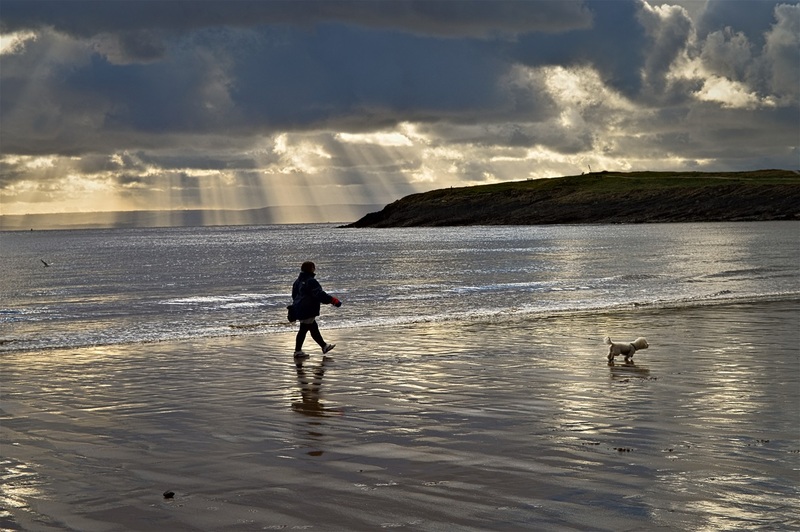 Barry Island was the first location using what was a "Brand New" DSLR ,a Nikon D3200. This is when I sipped from the Devils cup of digital photography, it grabbed me ,shaked me and converted me 100%. Taken on 27th December 2014, at 13.34 Hrs, an afternoon walk with my Wife and Alfie dog. What presented itself was late Winter Light, with the Sun hidden behind storm clouds gathering over the Bristol Channel. Settings, Aperture F9, Speed 1/320's, Focal length 45mm, iso 100.